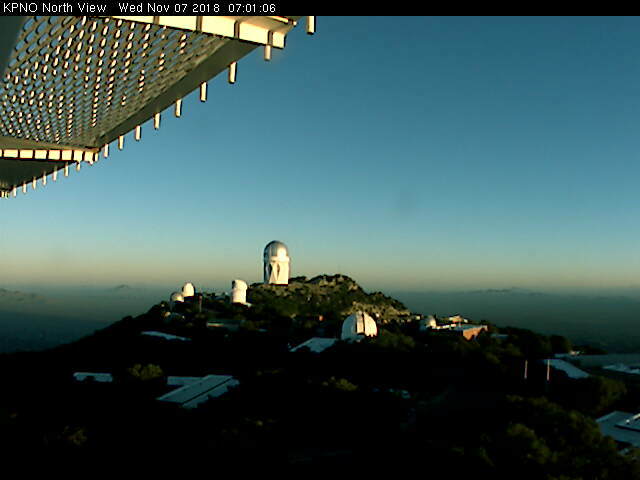 Another clear skies morning here - image above looking north from Kitt Peak at 7:00 am MST. The 06 UTC runs of the WRF model forecast a backdoor cold front from the east, leading to gusty winds late Friday into Saturday morning. The forecast below for 10-m winds is from the WRF-GFS version - the NAM version is similar for southeastern Arizona. Neither model forecasts the east winds to extended as deep as 700 mb. Thus, Mt. Hopkins RAWS stays above the strong east winds, while low-elevations will be gusty - if the forecasts verify. This type of pattern usually produces gusts of 25 to 40 mph at airport and also down the Rillito Wash. A tiny bit of weather to watch after a chaotic election day.